This is our latest blog by Stuart Benn, RSPB Communications and Conservation Project Officer based in Inverness. I was lucky enough to spend two days in this fantastic landscape the other week. Unfortunately, the weather wasn’t in our favour being rather damp, misty and murky which was more to the midges liking than ours but the wildlife was still great and we got to see recent developments at our Forsinard Flows Reserve. Tree removal and bog restoration continue (righting the wrongs of inappropriate afforestation in the 1970s and 1980s), research both into the importance of the bogs in locking up carbon and finding ways to reverse the declines of some of our rarest birds is well underway, education and community work flourishes, the award-winning Flows Lookout still delights and played host to a family of nesting swallows mercifully feeding their chicks beakfuls of midges. 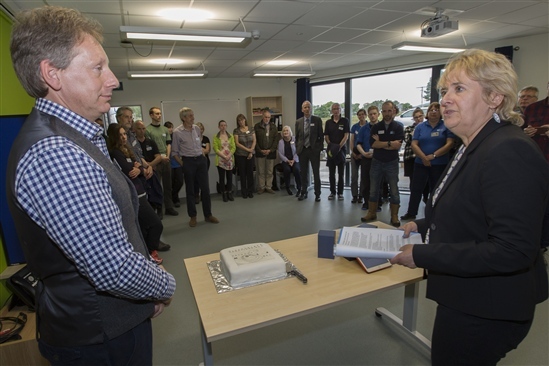 But new since my previous visit was the Flows Field Centre, only opened in early August by Roseanna Cunningham, the Cabinet Secretary for the Environment, Climate Change and Land Reform. Roseanna described it as a state-of-the-art centre and that is precisely what it is - an amazing building hosting accommodation for volunteers, labs for all that world-class research, an education room, drying facilities and office space for all the staff that are needed to manage and work in such a large and complex site. A world apart from the cramped quarters that had to serve as offices beforehand. 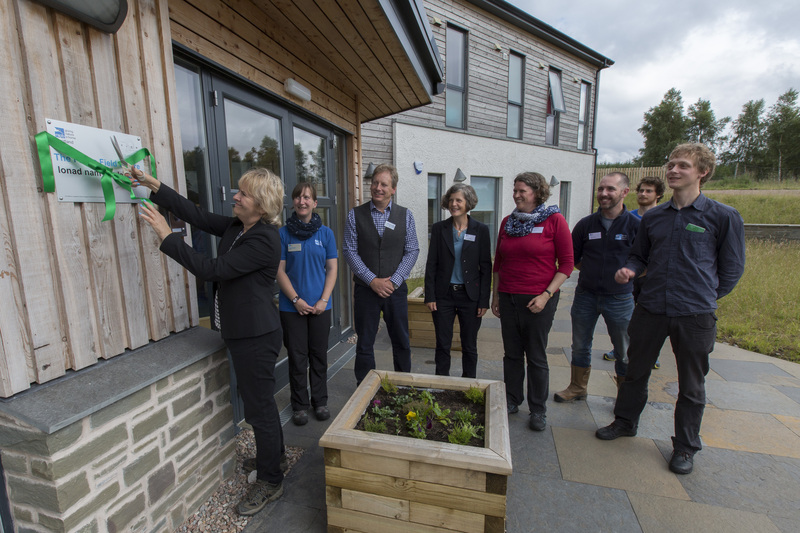 The Field Centre is one of the key outputs of the Flows to the Future Project run by a range of partners with the aims of delivering significant conservation work and bringing the importance of these peatlands to as wide an audience as possible both on site and virtually. This is one of the most sparsely populated areas in Europe and accommodation has always been in short supply for any researchers, volunteers and educational groups who make the long trip north to see the Flows for themselves. But now the centre makes it more possible for these groups to stay locally and fully immerse themselves in that special Flows experience. I’ll certainly be back, though I just hope the weather is a little more kind next time!